Looking for a weekend getaway from Bhopal where you can spend your summers amid peace and a relaxing atmosphere? If yes, then you must plan a trip from Bhopal to Omkareshwar. Home to one of the 12 Jyotirlingas of India, this religious town is located in the Khandwa district of Madhya Pradesh and is a perfect place to retire at. It is settled on a small island named Mandhata in the course of Narmada river and hence, it provides its visitors with a soothing atmosphere. The constant ringing of temple bells when mixes up with a cool breeze originating from the river side, elevates Omkareshwar with a delightful aura. So, how about getting yourself to this pilgrimage town which can certainly pacify you and relieve your stress? Scroll down to learn more about Omkareshwar and its enchanting spots. Being a pilgrimage site, Omkareshwar is visited throughout the year and hence, it is year-round destination for Hindu devotees. However, if you are looking to explore the beauty of Omkareshwar only in a cool and pleasant atmosphere, then the best time to visit is from October until the end of February. It is also visited by several travellers throughout the year who come here seeking peace and prosperity in life. By Air: If you desire to travel by air, then you need to take a flight to Indore airport and then from there you can either hire a cab or catch a bus directly to Omkareshwar town in Khandwa. The distance between Omkareshwar and Indore is about 80 km. By Rail: Indore railway station is the nearest major railhead from Omkareshwar. You can get regular trains from Bhopal to Indore. Once you have reached the station, you can hire a cab or catch a bus to Omkareshwar. 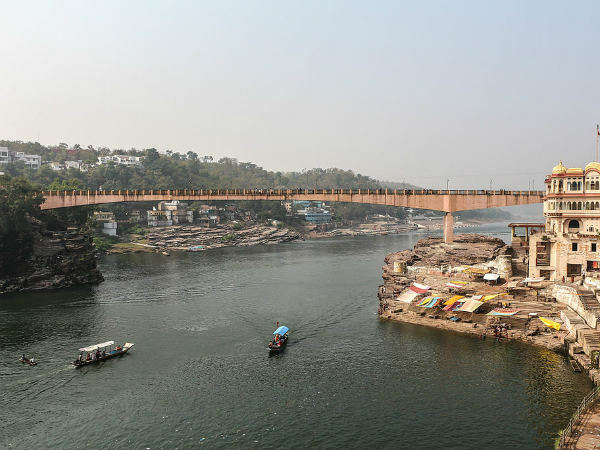 By Road: Omkareshwar is situated at an approximate distance of 260 km from Bhopal and is easily accessible by road. As route 1 is the fastest, it is advisable to go via Sehore so you can reach your destination within 5 h, i.e., half an hour lesser in comparison to the other routes. Do not get forget to explore the surroundings of Sehore while on your way to Omkareshwar. Sehore is located at a distance of around 40 km from Bhopal and 220 km from Omkareshwar and is a site of historical as well as archaeological importance. 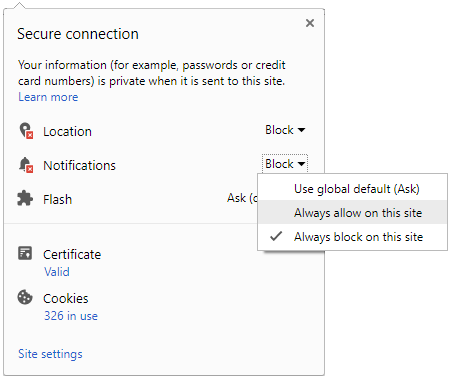 There are several sites within its boundaries which can send you back in time. Nestled wonderfully in the foothills of Vindhyachal Range, Sehore was once under the control of ancient kings from the Magadha dynasty and later on, it became a prominent site of religious gurus, who used to meditate here and teach their followers about the different aspects of life. The major places here include Jama Masjid, Ganesh Mandir, Cenotaphs of Kunwar Chain Singh and Saru-Maru Caves. Omkareshwar is one of the most important pilgrimage destinations amongst Hindus and hence, it is visited by millions of Hindu devotees every year. It said to have derived its name from the shape of an Island which resembles the shape of Om, the divine sound in Hinduism. As it is believed to be place where Lord Shiva appeared in the form of a light, it is said that a visit to Omkareshwar can certainly make any visitor's life blissful and prosperous. So, how about a trip to this temple town with innumerable religious sites? Following are the places which you shouldn't miss while in and around Omkareshwar. The prime attraction and the most-visited spot in Omkareshwar is the Jyotirlinga temple, which is dedicated to Lord Shiva and is believed to be thousands of years old. Without visiting this wonderful temple, your trip to Omkareshwar is certainly incomplete. So, do not miss out on exploring the beauty and significance of Omkareshwar Temple settled peacefully on an island amid Narmada river. Another beautiful spot, Siddhanath Temple is an architectural masterpiece and was built during the 13th century. Even though the temple is in a dilapidated condition today, it is still visited by thousands of history lovers and Hindu devotees every year. If you are looking to study about the history of Omkareshwar, then Siddhanath Temple is a must-visit spot for you. Omkareshwar is nowhere deprived of historical places. 24 Avatars Temples is one such historical site which is a group of several Hindu and Jain temples, which were destroyed by Mahmud of Ghazni during the 11 century. Hence, you can only find the ruins of these intricately made and beautifully designed temples. However, if you love history and architecture, then you should not miss out on these masterpieces from the past. Apart from all the above-described places, you can also explore its other corners and visit places like Ranmukteshwar Temple, Kajal Rani Cave Temple, Omkareshwar Palace, river ghats, such as Ahilya Ghat, Satmatrika Temple and Gouri Somnath Temple. You can also avail the opportunity of taking a bath and boating in the holy waters of Narmada river.